I got into knife making at a very early age. 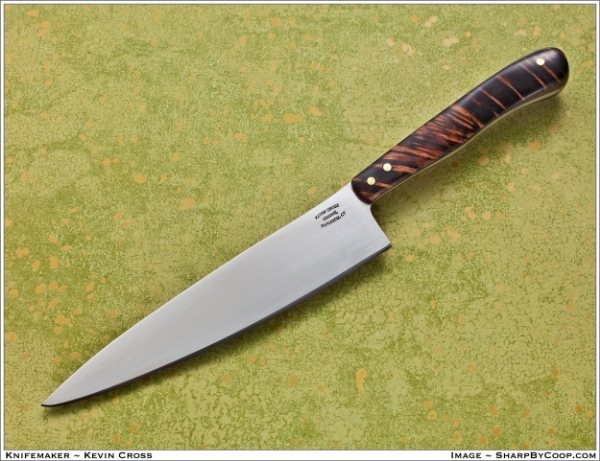 As best as I can remember, my first custom blade was a Popsicle stick that I sharpened on a concrete back porch. That was many, many years ago and like a lot of knife makers; I progressed from Popsicle sticks to “kit knives” and then putting custom handles and guards on other maker’s blade blanks. 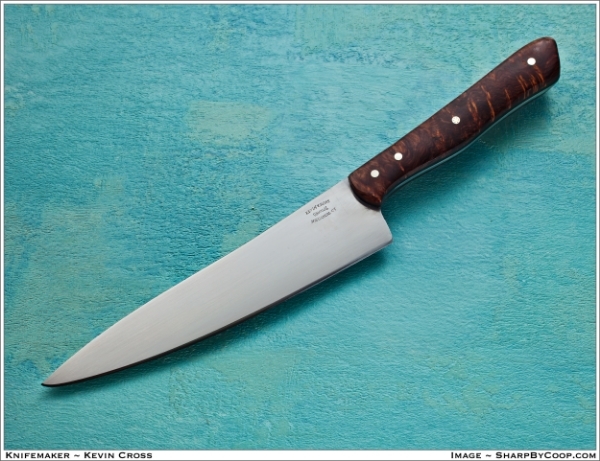 With the help and encouragement of many in the knife making community, I have progressed to being a part-time maker with a passion for making custom knives via the stock removal method. I enjoy working with a variety of steels. I use CPM154CM, AEB-L and S35VN stainless steels and use 5160, O-1 and 1095 for carbon steels. 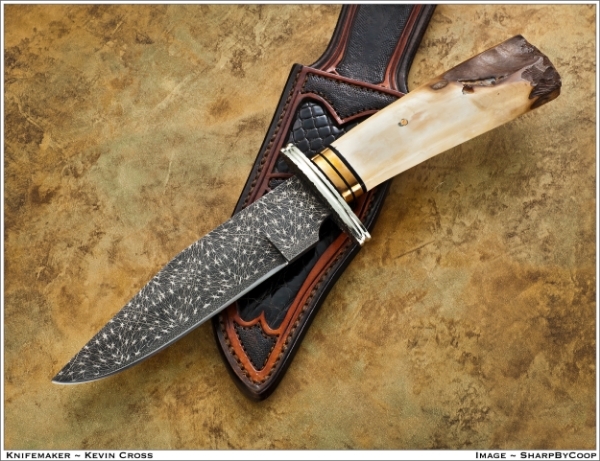 I especially enjoy making knives out of Damascus steel and frequently use Damascus steel by well-known smiths such as Eggerling, Nichols, Thomas, Haas and Norris. For handle materials I tend to use G-10 or carbon fiber for working or field grade knives. Handle materials on fine cutlery includes exotic woods, stabilized burls, sambar stag, and mammoth and ancient walrus ivories. 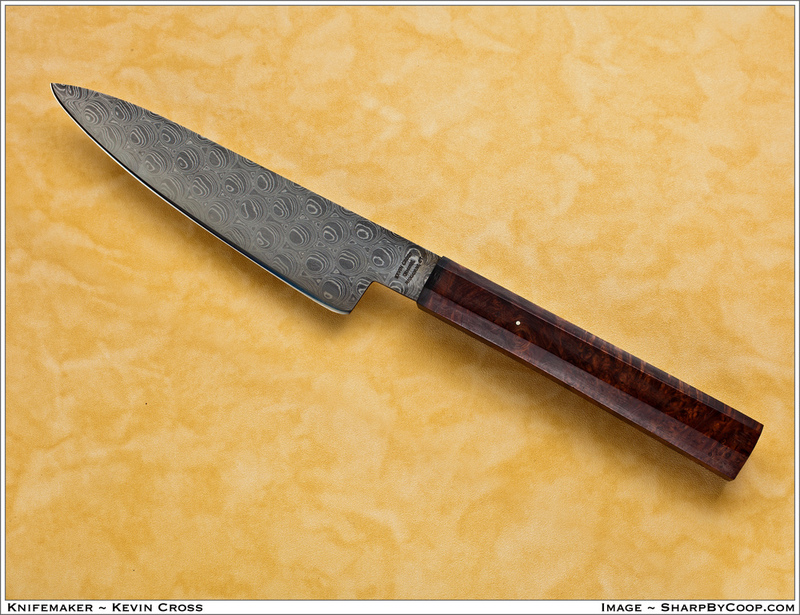 My knives have been featured in Blade magazine as well as in Knives 2011, Knives 2102, Knives 2013 and Knives 2014. 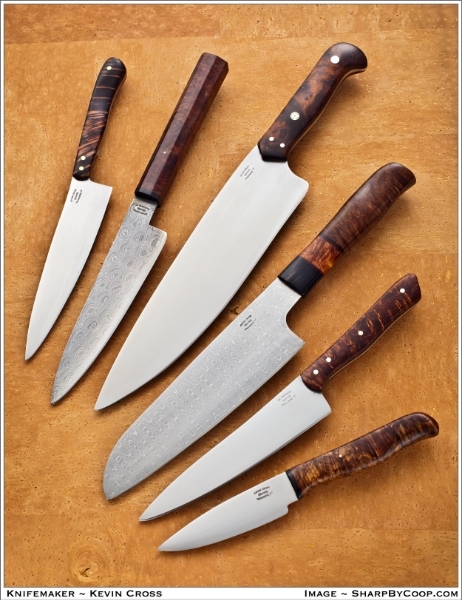 I am a member of The Custom Knife Collectors Association, Northeast Cutler Collectors Association, Knife Rights, and a voting member of The Knifemakers Guild.